After the whirlpool accident, the river took Woka the Turtle far away. She woke up at the beach in an unknown place. There’s no time to waste! 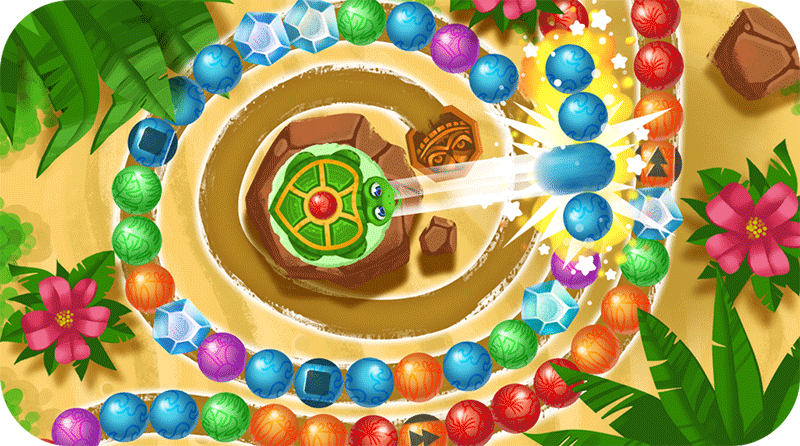 Help the Turtle blast all marbles before they reach the pit by matching three of the same color. How do I destroy marbles? Tap where you want your marble to hit and match at least three marbles of the same color in order to destroy them. As the levels progress, matching three might not be enough. Your marble can be frozen so you need to hit it with the exact color in order to break the ice. Deep frozen balls must be shot two or more times to remove the ice. If the marble is gummy, you need to remove sticky mass by matching three of the same color. How do I get lives? Lives are attempts to beat levels. You can have a total of five, and you lose one every time you fail a level. It takes 30 minutes to refill one life. You can also use coins to refill lives or ask your Woka friends for them. Tap on the Turtle's shell to change color. If you are playing on computer you can change it with the right click. 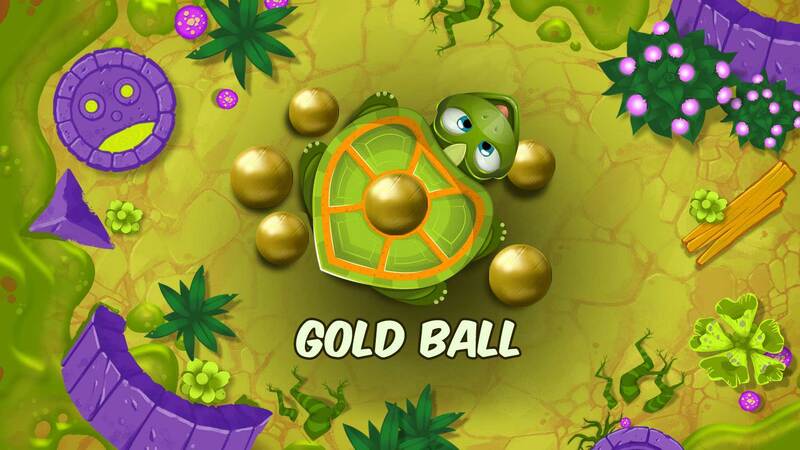 In certain levels you can also change the position of the Turtle. 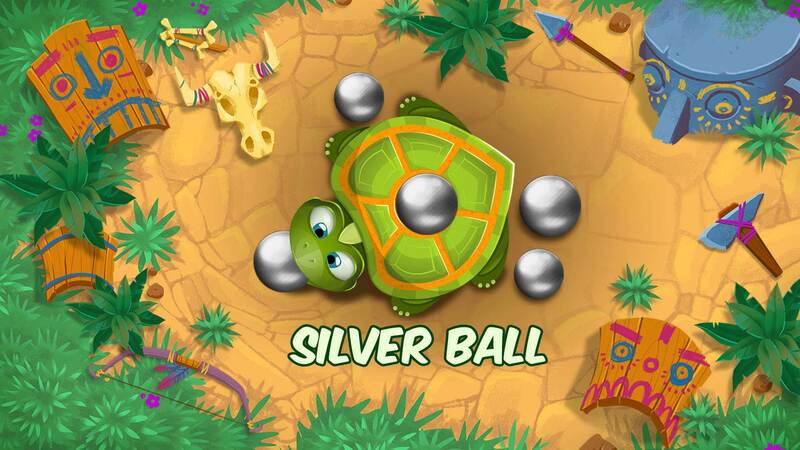 Just click on the position where you want the Turtle to be and it will switch. 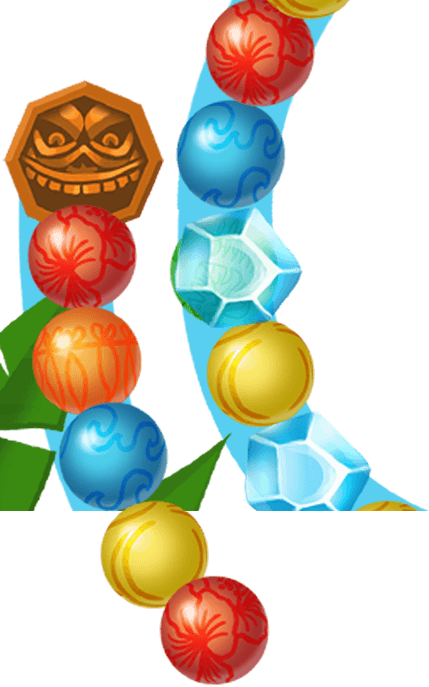 To pass the level you need to: destroy all the marbles and get at least one star, free all the stones/gems/lava marbles or reach a required number of points before the time runs out. To get more points try making as many combos, gap and flower bonuses as you can. The more marbles you clear - the more points you get! Once you master controls, create as many chain reactions and gap bonuses. They are worth more points than regular marble matching. Also, hit as many flowers as possible since they bring extra bonus points. You can get coins with Daily prize by watching a video, completing quests or purchasing them in the Shop. How to create combo marbles? 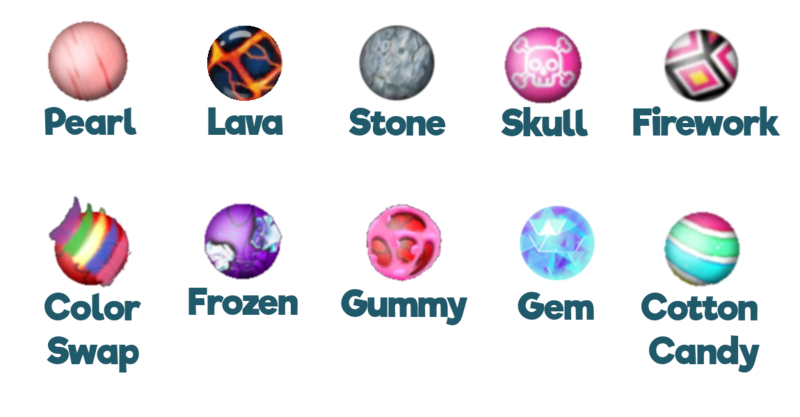 Once you have mastered your technique you will be able to put strategy into play and get special marbles. 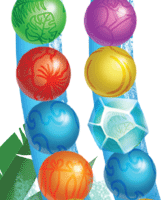 Colorful – Create two combos with marbles on the ends in green or yellow color. Colorful ball can replace one marble of whichever color in its surrounding. Bomb - Create two combos with marbles on the ends in purple or red color. Bomb destroy several balls in its surrounding. 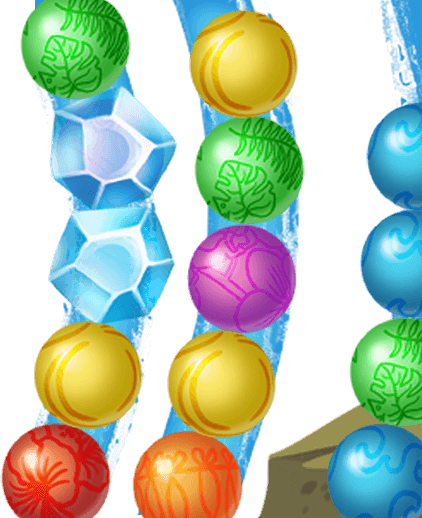 Color bomb – Create two combos with marbles on the ends in blue or orange color. Color bomb destroys all the marbles of the same color. Color mist – Create triple combo ending with red or yellow marble. This marble creates a cloud changing all the marbles in its reach to same color. Color replacer - Create triple combo ending with blue or purple marble. It turns all marbles of the color you hit into the color of the Replacer. Fireball - Create triple combo ending with green or orange marble. It destroys all the marbles on its path. If you are so close to winning or find it difficult to pass a challenge, boosters can be very helpful! There are 5 boosters: Rapid, Torpedo, Twister, Smasher, Laser. 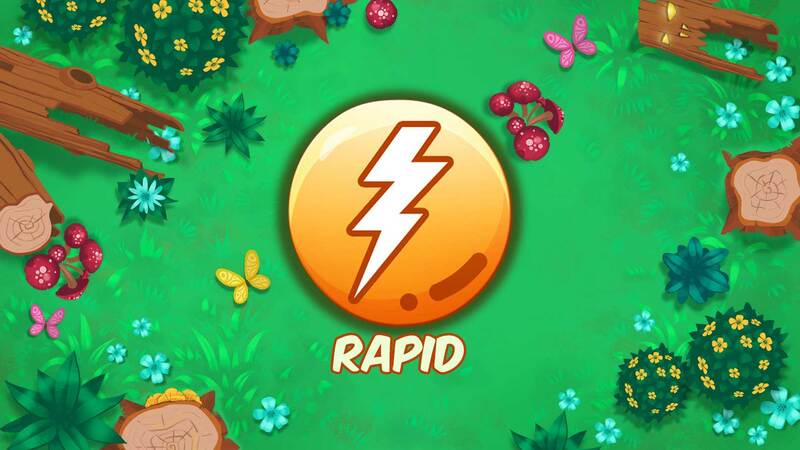 Rapid is shooting straight through all lines and eliminates marbles on its way. 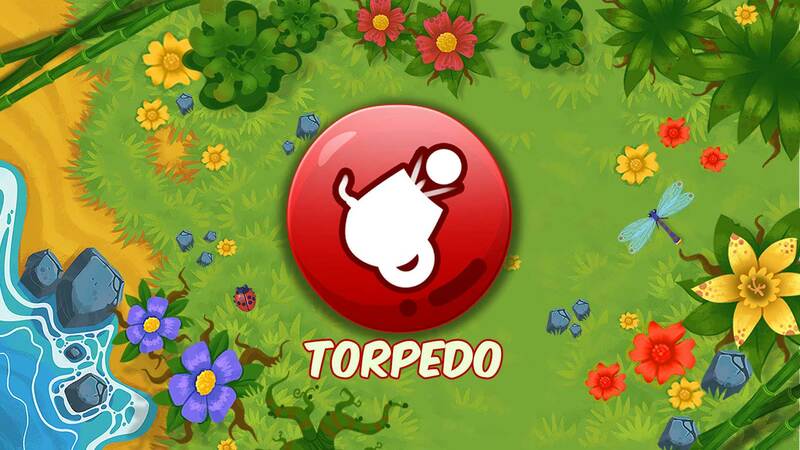 Torpedo is shooting three stone balls which blast through multiple paths. Twister is eliminating 60% of the marbles from the path. Smasher destroys 14 marbles which are close to the pit. 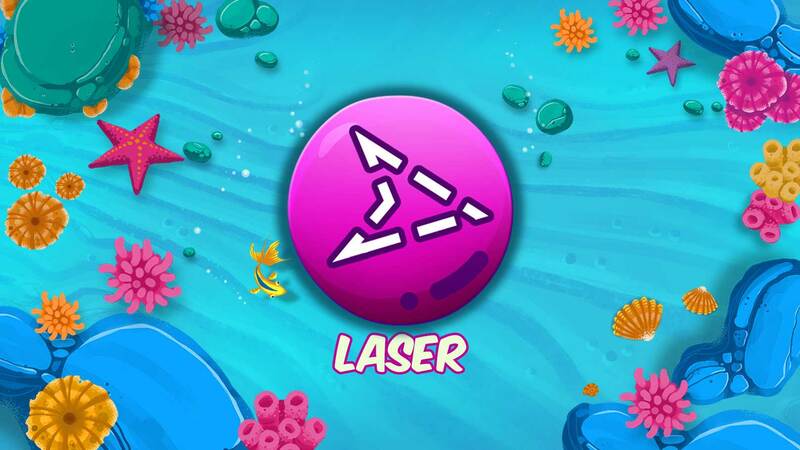 Laser is blasting 7 connected marbles in the path of your choice. What is a Sticky bomb? Sticky bomb is a Super ball. To use it, select it before the level starts. Activate it by hitting it with any marble. Once it is activated, it stops whole chain behind. Alabaster is a Super ball. It can replace any ball in the chain. To use it, you need to select it before the level starts. What’s a Power-up? What kinds are there? You were close to passing the level but marbles reached the pit? Rewind can save your life! Use it and rewind 50% of the chain. For a free rewind you can watch a video and then claim it. How do I earn purple stars? 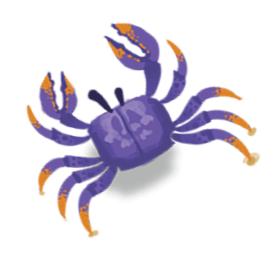 Complete the challenges on levels that are marked with a star. Challenge goals are different in each level. 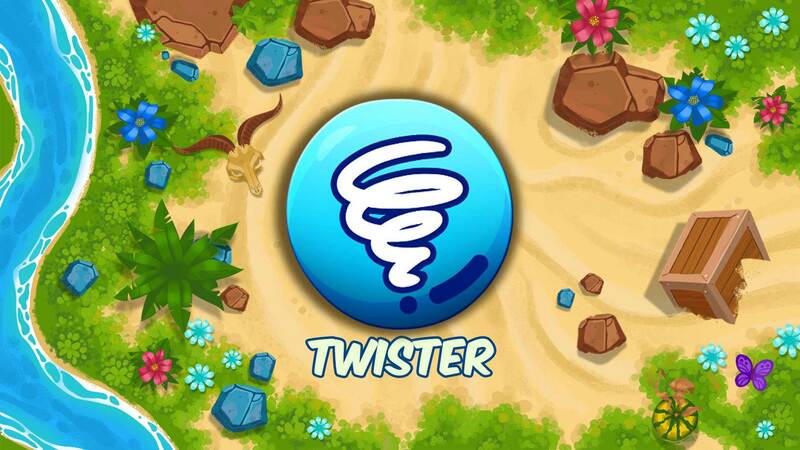 For example: destroy 50 orange marbles, create 4 color bombs, collect 5 flowers etc. How do special marbles work? Pearl marble: Match three or more marbles of one color next to the Pearl and it will become a marble of that color. Lava marble removes one layer of ice from frozen balls. To activate it, clear all the marbles in front of it and help it reach the pit! Stone marble brings extra points! Destroy all marbles in front of it and help it reach the pit. 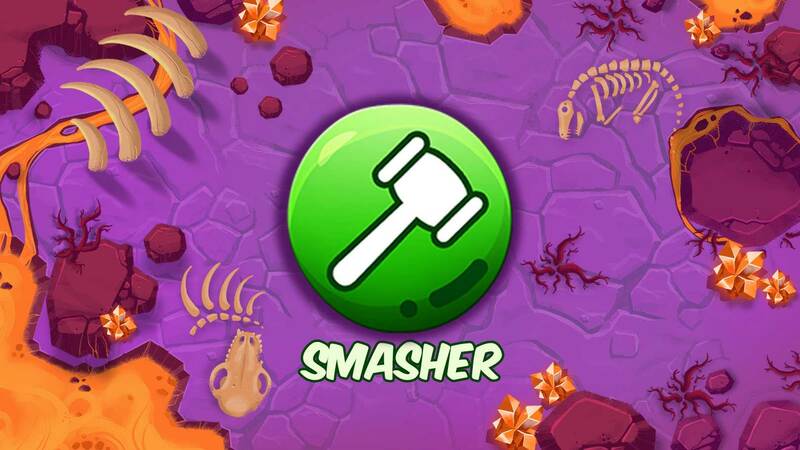 Skull marble: to destroy a Skull marble, you need to hit it with any ball! Firework marble destroys 5 random marbles. Hit it with any ball and activate it! Frozen marble: to destroy it you need to hit it with the exact color in order to break the ice. Deep frozen balls must be shot two or more times to remove the ice! Gummy marble: to remove the sticky mass you need to match it with at least two marbles of its color. Color Swap - It changes the colors of the regular marbles during the game. Gemstone - Clear all the marbles in front of it and help it reach the pit. When it enters the pit it helps you by destroying some marbles on the path. Cotton Candy - Help this marble reach the pit and it will clear the gum from the marbles on the path. How to remove the ice? Hit the frozen marble with the exact color in order to break the ice. Deep frozen balls must be shot two or more times to remove the ice! What is the Stone Marble? 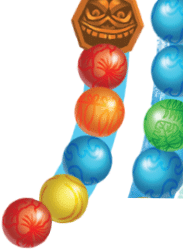 This special ball brings extra points! Destroy all marbles in front of it and help it reach the pit! Woka Woka is available on Google Play Store, iTunes App Store, Facebook, Facebook Gameroom, Windows Store, Windows Mobile and Amazon Store. You can play on your mobile device, tablet or computer. How do I open the gate after level 50? There are several ways of opening the gate: ask your Facebook friends to help by sending three gate keys, exchange gold for instant unlock, or wait for three days and the gate will unlock. I have one gold or silver marble left. How to destroy them? Golden marbles can be created by colliding two white ones. Matching 3 golden ones creates a Fireball. Silver marbles are created by collision of two black ones. Matching 3 silver marbles freezes the game for 5 moves. I finished all levels. Now what? New levels are arriving every couple of weeks. Make sure you update regularly your game on Google Play Store or App Store and in the meantime complete other quests. Quests are missions that you need to complete in order to get prizes. You can check your quests’ progress by clicking on the quest icon. How many lives can I receive from one friend? You can send and receive one life from a friend within 24 hours. Only by connecting on Facebook you can be sure your progress is saved. When you install Woka Woka on a new device, simply connect to your Facebook account and your progress will be restored. I don’t see my friends list, what should I do? You just need to follow these instructions so you can see your friends list and send them lives. Open the Facebook page in your browser. You should have an arrow in the upper right corner which, when clicked, should reveal some options. Click on Settings > Apps and Websites. In the "Active apps and websites" section, in the middle of your screen there will be the Woka Woka app. Click on the checkmark box right next to it and then click the Remove button, which is right above all the app icons. Because you are already connected to your Facebook account your progress is saved. This will only remove the permissions you gave to our game, and Facebook will ask for them the next time you start Woka Woka. You should grant permissions because one of them is your friends list, which is needed to show your friends in the game. After that, you should see your friends again. How to get more friends? Woka Woka is a free-to-play game and you can progress through levels without making a purchase. If you want more in-app items you can buy them on all platforms (Google Play, iTunes App Store, Facebook, Windows Store, Amazon Store). What are coins and how do I get them? You can purchase coin packs from the Shop! I made a purchase and didn’t get it. What should I do? Start by checking your internet connection. If the connection was lost during or right after the purchase, try restarting your device and check to see if the purchase shows up. If the purchase still doesn't appear in the game, contact our support team at support@twodesperados.com. Make sure to provide a copy of the receipt. The receipt is emailed to the account used to make the purchase soon after the purchase is completed. I have an unauthorized purchase. What should I do? All payments are done through Google Play Store, Windows Store, Amazon Store, App Store or Facebook Payment systems. If you believe that an unauthorized purchase was made through your bank account, directly contact one of the Stores. Marble Arena is a side event. It has 10 levels on a special map. In Marble Arena you can compete with your friends and get amazing prizes from chests. Marble Challenge is a side event. You need to pass all three levels without losing a life to get your reward from the chest on the third level! Treasure Chests are game content made available for a limited period of time. Reach the chests and get the rewards you deserve! When will new levels be released? Our team is working hard to provide you with new and exciting levels! Every month you can look forward to 30 new levels. In the meantime, if you finished all the levels, you can play Challenge levels where you didn’t get a purple star. Haven't found what you were looking for? For any technical issues send an email to support@twodesperados.com or join Woka Woka Help group to join the community of Woka players where you can add friends, exchange lives, tips and tricks - Woka Woka Help group. The game contains social factor where you get connected with the rest of Woka players, exchange lives, tips and tricks thus developing a strong online community.